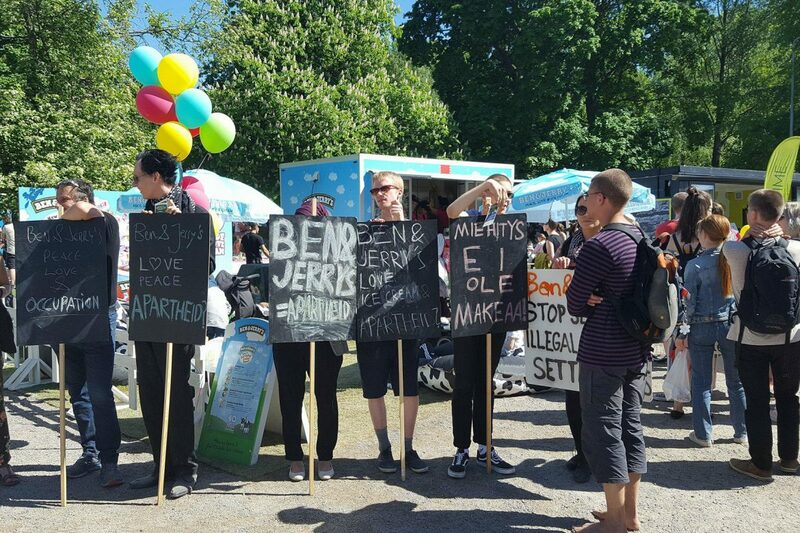 Finland: Ben & Jerry’s Ice Cream targeted by anti-Israel activist at World Village Festival in Helsinki who sits on organizer’s board……. – The Tundra Tabloids……. For a few years now, KEPA, a service base for nongovernmental organizations in Finland, organizes the World Village Festival event in a centrally located park in Helsinki. It draws huge crowds who come to taste exotic food, listen to music and mingle with other people while talking up with the representatives of the many different NGO’s who registered for the event. 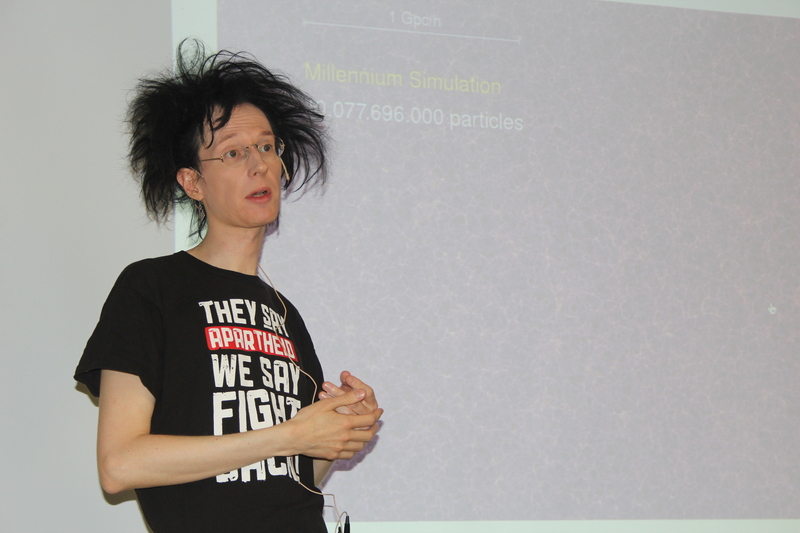 Syksy Räsänen, a cosmologist academic is a known anti-Israel activist (at least within his minuscule clique of followers) and has held anti-Israel events within the WVF event. It appears that Räsänen overplayed his hand with his activism this past Sunday (27/05/2018) and his position on the KEPA board, by demonstrating against a company that his own board approved of and accepted money from to be able to sell their ice cream at the event. It goes to show that the extreme positions that he (Räsänen) takes in regards to Israel, clouds all of his judgement. He really does think that he has carte blanche to do just about anything in his ends-justifies-the means activism. It will be interesting to see whether any action will be taken by KEPA and Ben & Jerry’s as a result of what Syksy Räsänen did. Here is the report from a TT colleague at the event. Today I was at the world village Festival and here I have taken a very important picture, and I will tell you a little about the background: Syksy Räsänen had today illegally entered the festival area to demonstrate against Ben & Jerry’s ice-cream kiosk with anti-Israel picket signs and flyers. The idea is that Ben & Jerry’s is one of incarnations of Israel’s so called “apartheid”. I watched the situation as two security guards chatting with each other decided that, it’s not what we are going to interfere with if there is no directive from the organizers of the event. Then a couple of KEPA staff (KEPA is the organizer of the event, a service base for nongovernmental organizations in Finland) and I went to them saying: Sorry, but is that demonstration legal? I myself am a journalist and I wonder whether the Kepa really gave permission for it. This kind of demonstration, which I think is very childish, demonstrates an exceptionally Bad taste. The staff members said, no no, it’s not legal. I asked: So what do you intend to do about it? That is why this cannot be allowed to continue. The two seemed to be bothered, contacted the organizers and convinced them that this issue should be handled straight away. The demonstration is broken up immediately. This really happened and the protesters were removed. However, the picture says more than 1000 words, which clearly shows how the target was also Ben & Jerry’s, who certainly paid a reasonable amount of money to sell their product at the World Village Festival. Syksy Räsänen is a deputy member of the KEPA board, so it was a real arrogant move on his part. In the autumn, I think that after this stunt Räsäsnen has no further justification for board membership. It would be a good idea to send the picture to KEPA. Likewise, I also think Ben & Jerry’s company would have every right to claim compensation in this situation. Previous Post Previous Post Netherlands: Ax wielding Islamonazi shouting Islami war cry shot after murdering police dog……. Next Post Next Post BBC interviewer tries to get a straight answer out of Turkish FM, hilarity ensues……. B&J are notorious leftard assholes. I hope they get run out of town. Syksy Räsänen has got it all wrong. There’s not a single Jew in Gaza, Ramallah, Qalqilya, Jenin, Khan Yunis, Tulkarm. But there are plenty of Muslims and Christians in Israel. So he should be boycotting Palestinian. Excellent points in both comments. 100% correct. Räsäsnen is a kook, pure and simple, pity he maintains a post in a university. Let’s see 5000 Jews live in the 22 Arab countries.